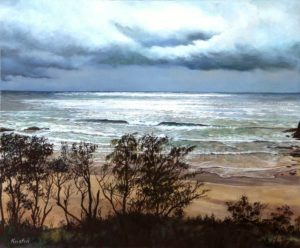 Kristin Hardiman – Australian equine, portrait and landscape artist. Kristin is a professional artist and art educator specialising in equine, portrait, and landscape art. She holds a Diploma of Fine Arts and Education from Alexander Mackie CAE – a predecessor to the College of Fine Arts (COFA) at UNSW, is the inaugural winner of the International Inglis Equine Art Prize and is an Exhibiting Member of Portrait Artists Australia. Her works are held in private and corporate collections throughout Australia and internationally.